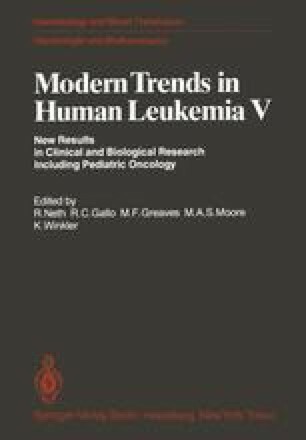 In 1978 a study group was formed in the Federal Republic of Germany for the treatment of acute lymphoblastic leukemia (ALL) und acute undifferentiated leukemia (AUL) in adults. A modified form of an intensive induction and consolidation regimen successful in children with ALL  was used. The objective was to determine whether a prolonged remission induction and the addition of the drugs cyclophosphamide, cytosine-arabinoside and 6-mercaptopurine to the more conventional drugs for induction therapy of ALL, vincristine, prednisone, daunorubicin and L-asparaginase would improve the longterm results. It was hoped that a large number of hospitals would participate and that, with a sufficient number of patients uniformly treated, it would be possible to determine prognostic factors and to identify risk groups. This report concerns the design of the study, the toxicity of the therapeutic regimen and the first results.